The pressure to feed results into a controversial, expansive DNA database has bogged down the FBI’s DNA lab so badly that there is now a two-year-and-growing backlog for forensic DNA testing needed to solve violent crimes and missing persons cases. Civil libertarians call the database — which increasingly includes everyone convicted of every federal law, legally innocent people awaiting trial and non-citizens detained in the U.S. for any reason — unnecessary and unconstitutional. And yet a review by the Department of Justice’s Inspector General released on Monday concludes that the need to analyze and upload some 96,973 or more DNA samples a year into that database is contributing to a backlog of forensic DNA cases that stood at 3,211 in March. That translates into a delay of about 150 days to over 600 days for law enforcement agencies who need answers right away. We need to defund the database and use that money for something more useful, like getting that 150 days down to 5 or 10 for active criminal cases. The fund will offer cash awards to companies that initiate mobile financial services in Haiti. The first company to launch a mobile money service that meets certain criteria in the next six months will receive $2.5 million. The second operator to launch and reach these benchmarks within 12 months will receive $1.5 million. Another $6 million will be awarded as the first 5 million transactions take place, divided accordingly between those operators that contributed to the total number of transactions. There’s a notion that government can ‘nudge’ people to do the right thing. Big examples include letting people opt-out of organ donorship, rather than opting in (rates of organ donorship go from 10-20% to 80-90%, which is pretty clearly a better thing than putting those organs in the ground or crematoria). Another classic example was participation in 401k retirement accounts, but somehow after the market meltdown, that’s getting less press. In a study evaluating the program’s effectiveness, Opower researchers compared power use before and after the HERs began arriving, and further compared this change with a group of control households that never received the reports. On average, the HER households reduced their consumption in the months that followed by a little less than 2 percent. Not bad, but probably not enough to save the planet. One problem with this approach is that we all define “better” differently, as a new study emphasizes. UCLA economists Dora Costa and Matthew Kahn analyzed the impact of an energy-conservation program in California that informed households about how their energy use compared with that of their neighbors. While the program succeeded in encouraging Democrats and environmentalists to lower their consumption, Republicans had the opposite reaction. When told of their relative thrift, they started cranking up the thermostat and leaving the lights on more often. … One explanation is that many conservatives don’t believe that burning energy harms the planet, so when they learn that they’re better than average, they become less vigilant about turning the lights off. That is, they’re simply moving closer to what they now know is the norm. People are complex. It’s hard to know what matters to people, and it’s hard to know what additional information will do to a market. As Hayek pointed out, this is why central planning fails. The planners can’t know all. And when we start nudging people, lots more chaos will emerge. Planners don’t become better by giving people opt-outs from their planning. And while nudging is better than authoritarianism, it’s still worse than a government which does only what it needs to do. In the case of energy consumption, a market is emerging to help people see what drives their energy consumption and environmental impact. Better to let a thousand startups bloom, and let the creativity of engineers and those who care deeply help people drive down their electricity use. Everyone else will pay for their long-burning lights, and if electricity is fairly priced, then that’s their choice. The paper is at “Energy Conservation “Nudges” and Environmentalist Ideology: Evidence from a Randomized Residential Electricity Field Experiment,” National Bureau of Economic Research. It’s a long, complex post, and very much worth reading. It starts from the economics of running an ISP that can provide circumvention to all of China, goes to the side effects of such a thing (like spammers using it), and then continues to ask why we want circumvention anyway. (CNN) — Legislatures in all 50 states, the District of Columbia, Guam, the Virgin Islands and Puerto Rico met in 2009, leading to the enactment of 40,697 laws, many of which take effect January 1. That’s an average of 753 laws passed in each of those jurisdictions. At 200 working days in a year, which is normal for you and me, that’s nearly 4 laws per day. Now, there’s a longstanding principle of law, which is that ignorance of the law is no excuse. 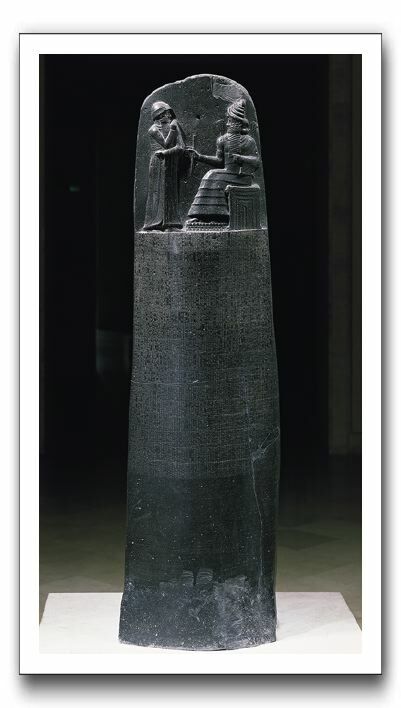 That goes back to the day when laws, like the code of Hammurabi, were inscribed at a rate of about 4 letters per day. The laws were posted in the city center where both of the literate people could read them. Joking aside, at what point does knowledge of the law become an unreasonable demand on the citizenry? Civil rights lawyer Harvey Silvergate has a new book, “Three Felonies a Day: How the Feds Target the Innocent. I haven’t read it, but as I understand, it’s largely about the proliferation of vague laws, not the sheer numbers. A few years back, Aleecia McDonald and Lorrie Cranor calculated the cost of reading and understanding the privacy policies of the sites you visit. It was $365 billion. It might be interesting to apply the same approach to the work of legislatures. On December 12, 2009, we factored the 768-bit, 232-digit number RSA-768 by the number field sieve (NFS, ). The number RSA-768 was taken from the now obsolete RSA Challenge list  as a representative 768-bit RSA modulus (cf. ). This result is a record for factoring general integers. Factoring a 1024-bit RSA modulus would be about a thousand times harder, and a 768-bit RSA modulus is several thousands times harder to factor than a 512-bit one. Because the first factorization of a 512-bit RSA modulus was reported only a decade ago (cf. ) it is not unreasonable to expect that 1024-bit RSA moduli can be factored well within the next decade by an academic effort such as ours or the one in . Thus, it would be prudent to phase out usage of 1024-bit RSA within the next three to four years. It’s an interesting read if factoring fascinates you.